Why is it mandatory? Never used it so I don't know. I always keep the bayonet on just for dealing with Elite kits. Good thing we don't have Elites in BFV though. As far as I know having it equipped increases recoil. Don't remember for certain though, I haven't spent much time on BF1 the last year. so I always throw a grenade at a sniper that is shooting me to clear the tripwires. 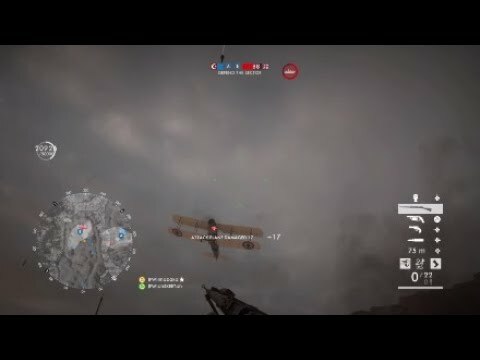 Did you destroy the planes with the grenades or kill the pilot? I damaged the plane with my rifle then tossed a light anti tank grenade into its path. Lt tank grenades explode on vehicles on impact soooooo boom goes a plane. Even on a full health fighter and attack it will disable them instantly, for the rifle or in a few nights agos case a shotgun finisher. Let grenades also work on horses when the horse has half health or so a lt grenade will instant kill them. The variety of unique weapons. I know it isn't a fair comparison, between BFV and BF1, as BFV has all its "DLCs" to be released, but BF1 has so many valid options for weapons that offer different playstyles that BFV can't keep up... just yet.